A rebel takeover of several key towns in the Central African Republic (CAR) has placed additional strain on humanitarian conditions that were already precarious due to years of armed conflict. Access to populations in need and aid personnel on the ground are now significantly reduced. 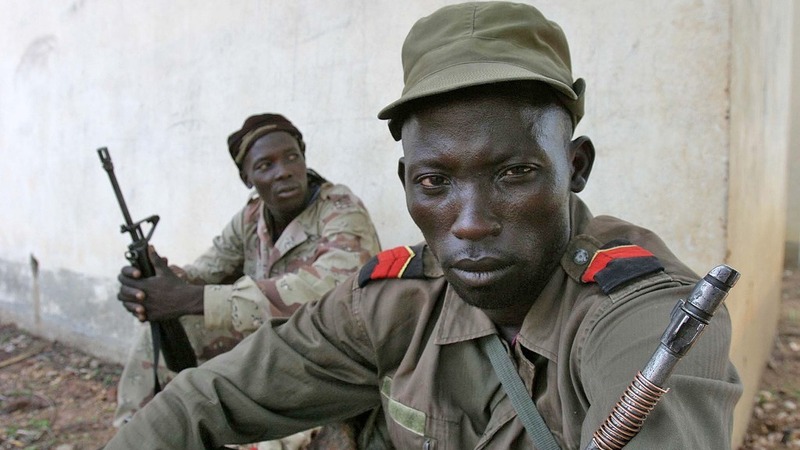 That the rebels - grouped under the “Seleka” alliance - were able to advance to within 160km of the capital, Bangui, with little opposition from government forces underscores the absence of state infrastructure in much of the country. In many areas, basic healthcare and education are provided by aid groups or not at all. “Population displacements have been reported in a number of areas, including Bangui, Ndélé and across the border into the Democratic Republic of Congo, from the Mobaye region in CAR and towards Bertoua in Cameroon,” the UN’s Office for the Coordination of Humanitarian Affairs (OCHA) said in a recent update. “There are serious concerns about the protection of civilians across the country amid reports of widespread looting and violence. An estimated 316,000 people are living in the affected areas, and some 700,000 persons in Bangui are at further risk of an escalation in fighting,” the update said. “A few humanitarian partners are responding to the most urgent emergency needs of displaced people in Ndélé and other areas, but temporary evacuations of humanitarian staff from affected areas due to the violence have disrupted a number of humanitarian programmes across the country,” it added. The grounding of UN aircraft, “the primary means of transport around CAR,” has also limited the activities of partners on the ground. Kabo, Batangafo, Kaga-Bandoro, Sam Ouandja, Bambari, Bria and Sibut. “Because of the insecurity in the area [the town of Batangafo, taken by the rebels on 20 December], it is impossible to refer any patient from the peripheral health posts to the hospital, in case of severe conditions and emergencies, due to the total restriction of motorbike-taxi movements,” said Amal El Oualji, MSF’s project coordinator in Batangafo. “In the town of Ndélé, in the north of CAR, which was attacked on December 10… MSF is aware of at least 2,600 displaced people who are spending nights in small groups, hiding in the bush or seeking refuge at the airstrip, not far from town. Unfortunately, this is only a small fraction of the displaced population; most are spending the nights close to their crop fields, in smaller groups of between two and five families spread over many kilometres with no road access. Many of them suffer from diseases such as malaria, acute respiratory infection or diarrhoea,” the statement said. The International Federation of Human Rights Leagues (FIDH) says the rebel advance, which began in early December, has been accompanied by “repeated attacks, rapes and looting” against civilians in areas under their control. “In Bangui, the rebel advance has reportedly unleashed a wave of arrests and intimidation against political opponents and people from the north of the country, a zone the rebels come from,” FIDH said in a statement. “All international crimes committed by either side could fall under the competence of the International Criminal Court, which remains seized of the situation in CAR,” said FIDH chairperson Souhayr Belhassen. The Federation added that the absence of justice in CAR has been one of the sources of armed violence over the last decade, including the one in 2003 that brought the current president, Francois Bozizé, to power. “Its volatile context and very poor humanitarian situation are largely unknown, major donors are thin on the ground, and there is a lack of experienced partners. The multiple population displacements affect relatively small numbers of people compared with neighbouring countries, but the various vulnerability indicators are very worrying and reflect a lack of resilience of the population to absorb even minor shocks,” said an ECHO Humanitarian Implementation Plan released in October 2012. According to the US$129 million 2013 Consolidated Appeal for CAR, “chronic crisis has substantial humanitarian repercussions that increase the population‘s vulnerability. This chronic vulnerability… is exacerbated by minimal access to basic social services, presence of destabilizing armed actors and frequency of localized natural disasters”. Major hurdles to addressing needs are “access constraints due to insecurity and criminality, and the lack of funding required for effective project planning and implementation”, the appeal said. Noting that the Seleka rebellion follows decades of instability and several bouts of violence in the capital, the International Crisis Group (ICG) said in a briefing that the priority now should be avoiding another “battle of Bangui” and further violence against civilians. To this end, ICG urged that the forthcoming negotiations between the government, Seleka and opposition parties include discussions on the composition of a government of national unity, stimulating the economy, army reform, disarmament and the reintegration of combatants, as well as the creation of a commission to investigate state violence.